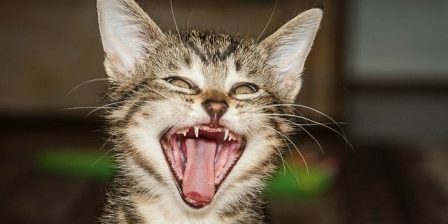 Constipation in cats is not a light issue. According to feline experts, it should be taken seriously. In its extreme form, it can be death threatening illness that needs immediate action. This is the case when a colon is so enlarged that a cat cannot expel poop and a surgery is the only option. Fortunately, it is rare. 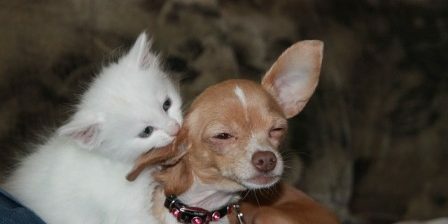 Usually, constipated cat feels better when the cause is discovered. 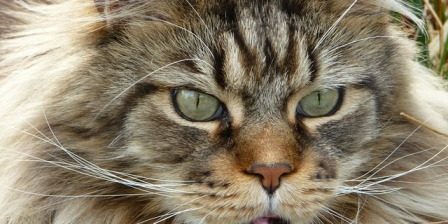 But, how can we recognize constipation in cats? A cat with this issue will strain when in a litter box. She can also show a lack of appetite and refuse drinking water. Some cats may vomit when constipated. 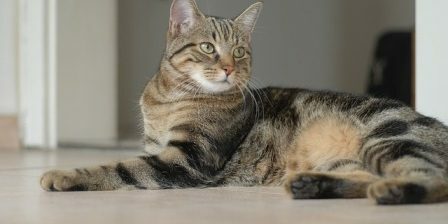 To learn more about constipation in cats, the article “8 Ways to Help Your Constipated Cat” gives us the following tips. The following over-the-counter products may relieve your cat’s constipation, but make sure to consult your veterinarian before giving any medications to your cat. Laxatone is an edible petroleum gel that helps lubricate your cat’s digestive tract. It comes in different flavors and your cat may lick it off your fingers. – Metamucil is a source of fiber. Mix one to four teaspoons with your cat’s food every 12 to 24 hours. – Miralax is another laxative and stool softener. Mix 1/4 tsp once a day with wet food. – Wheat bran is another natural source of fiber. Mix one to two tablespoons with your cat’s food every 12 to 24 hours. – Canned pumpkin is a source of fiber but it does not actually provide as much fiber content as Metamucil or Miralax. You can add 1-2 tablespoons to each meal. – Increase water consumption by making additional water sources available away from your cat’s food, switching to a canned diet, or even mixing a little extra water in with the food. – Maintain healthy weight by changing your cat’s diet in consultation with a vet. 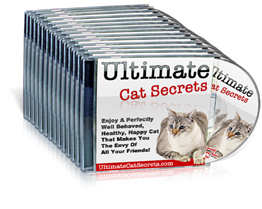 – Increase exercise with cat toys and more play time. 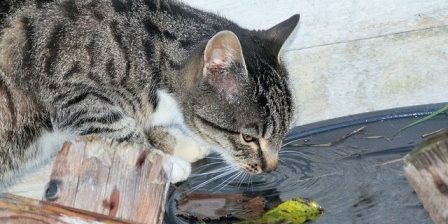 To prevent constipation in cats, feline experts recommend giving a cat a lot of water. According to them, dehydration is the number one issue that can cause constipation. Sometimes, it is a litter box problem behind constipation. Cats do not like a dirty litter box and might withhold stool to avoid going into it. Some cats prefer one type of litter over another. Because of that, experts suggest using only the litter a cat is comfortable with. Cats may avoid litter box if it is located in a noisy place. To be sure that a cat will use a litter box, we should place it in a peaceful corner, out of traffic. Experts also recommend feeding a cat wet food instead of dry because of its water content. 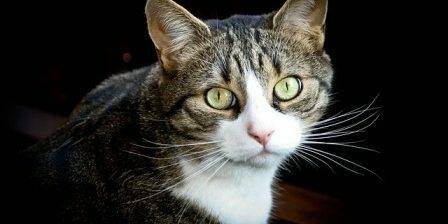 Namely, the wet food contains more than 80 percent water, while dry food has only 20 percent. 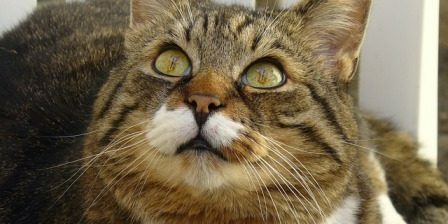 These changes are usually enough to help a cat overcome constipation. If nothing helps, then a vet visit is the best option to deal with constipation in cats. Next story How to Survive with a Cat in Heat? Previous story Why Don’t Some Cats like to Be Held?